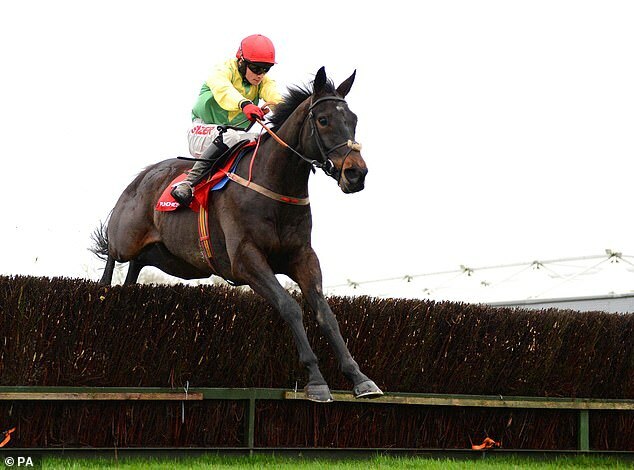 Harrington told her Unibet blog on Tuesday: ‘Unfortunately, Sizing John has met with a setback and he will miss the remainder of this season. After routine exercise yesterday, I wasn’t happy with him and our vet came down and examined him. ‘He has confirmed to me that he has met with a setback, which means that he won’t run at Cheltenham or Punchestown. His owners have been informed and, naturally, they are very disappointed, as is everyone at Commonstown.